Loose buttons, or bead-work. Serious repairs are extra. Veil, garter, shawl, money bag. 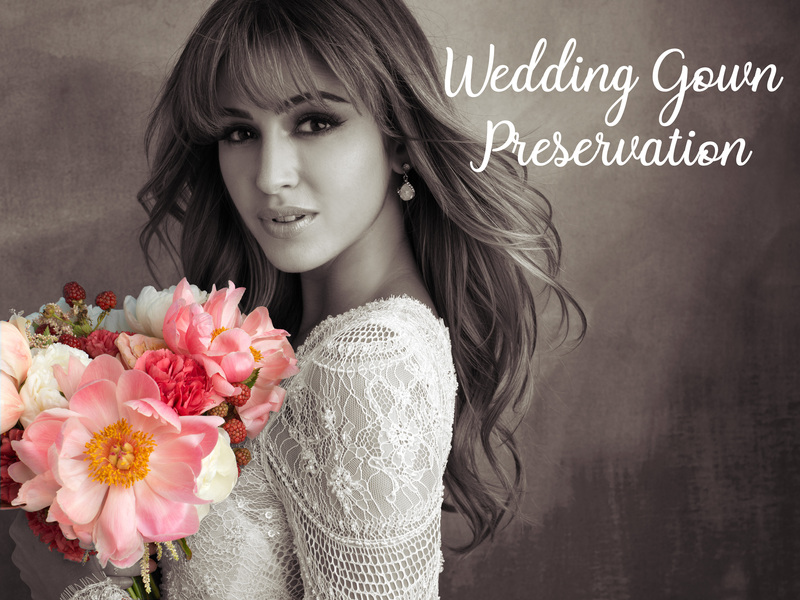 Removes both visible and invisible stains and protects the dress against future yellowing. White embossed preservation chest improved to display more and protect from elements. The best and beautiful acid free tissue paper and preservation bust. Included for save handling of your gown.